Hi! I’m Alli from Cupcake Diaries and I’m thrilled to be participating in the My Mommy Style Summer Learning Series for a second year in a row. I have three boys and they love talking about the weather and checking it every day. So when I made Sunshine Pancakes for them they were pretty excited. We’ve had beautiful weather here in Northern Utah and smiley faced, sunny pancakes seemed like the perfect idea for the series. Just by looking at the ingredients you know it’s going to be a healthy recipe for the kiddos. My kids love pancakes and it was extra exciting for them to be able to put a face on top of one. This recipe is perfect for a summer day and a fun activity for the kids during summer break. Begin by cooking the pancakes at 300° – 350°, about medium-high heat. 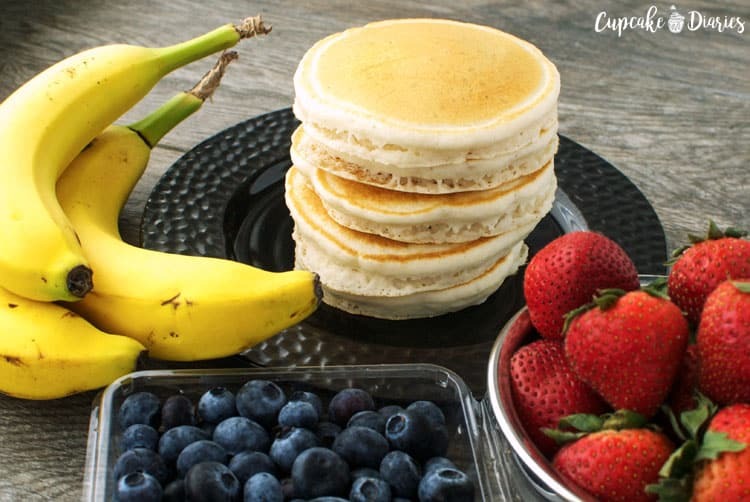 Measure 1/4 cup of batter for each pancake. 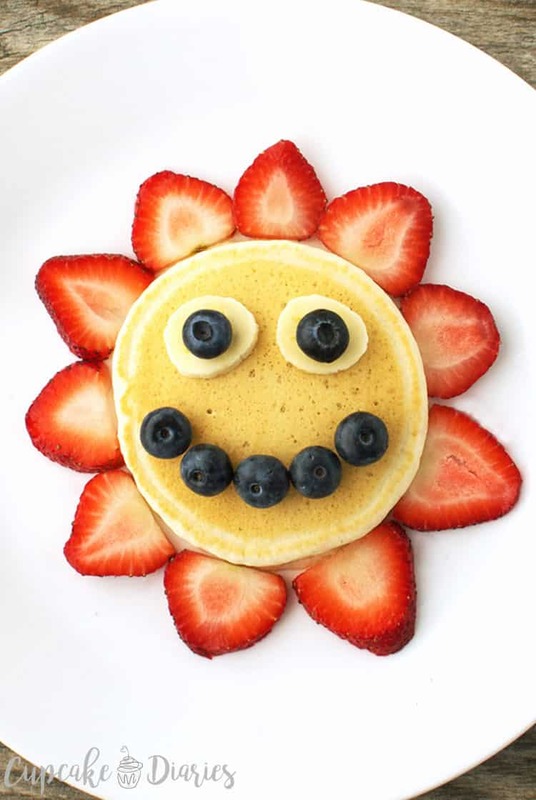 Make the sun by surrounding the pancake with strawberry slices to look like sun rays. Then place two banana slices on top for the eyes along with two blueberries. 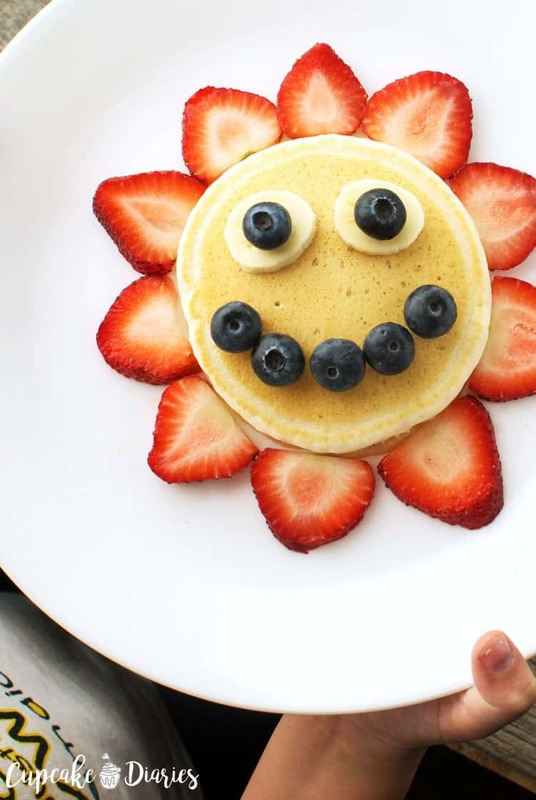 Create a smile with more blueberries. Serve as is or with maple syrup. I hope you and your family enjoy this recipe! Some other favorite kid-friendly recipes you can find on my blog are Mini Biscuit Pizzas, Chicken Parmesan Sliders, and a Dinosaur Lunch. Alli is the food blogger and photographer behind Cupcake Diaries. Nestled in Northern Utah with her three young boys, hubby, and a full pantry, she loves baking all kinds of treats as well as quick and easy meals for her family. You can follow Alli on Facebook, Pinterest, Instagram, and Twitter.